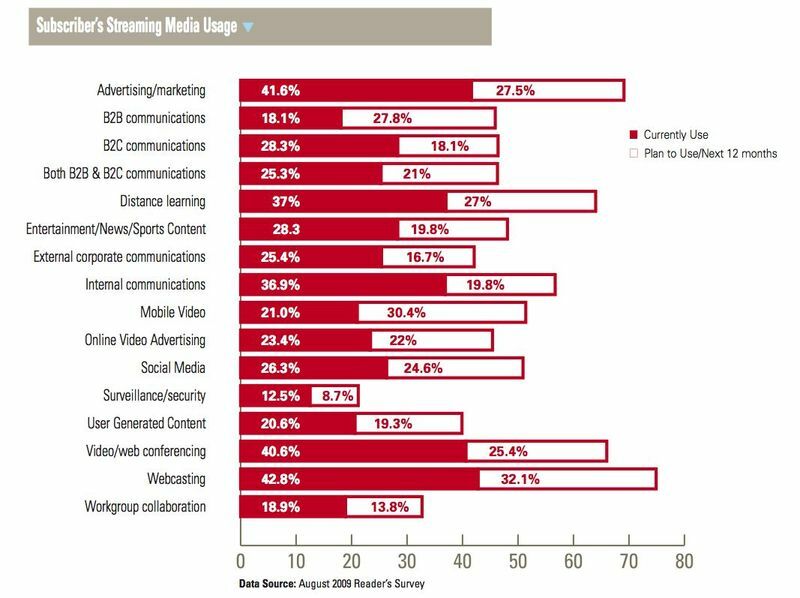 Subscribers to the special edition of Streaming Media magazine, the 2010 Sourcebook, said in a recent survey that webcasting and mobile video are the two video applications they plan to invest the most money in for 2010. The results from the survey, which you can see below, are tabulated from 562 responses and gives details on the video applications being used today and where content owners see growth in the New Year. Make sure you get a FREE copy of the sourcebook for yourself by subscribing here. The issue ships later this next month.